Renowned pop star, Rihanna has arranged to sell her LA home for $15 million and rent a concrete pad in the Hollywood Hills for $60,000 per month. The move has emanated just 18 months after the sassy songstress purchased a remarkable mansion in the Pacific Palisades. However, the 26-year old decided to make the change after she was repeatedly targeted by stalkers. Last year the ‘Diamonds’ singer was forced to secure restraining orders after obsessed fans climbed onto her roof and another broke into the house next door thinking it was her home. Accordingly her decision to move to a property with high security measures may have also had something to do with the birth of her newborn niece. In a recent Twitter post Rihanna is seen to be holding her baby niece protectively, stating, “I’m so in love”. 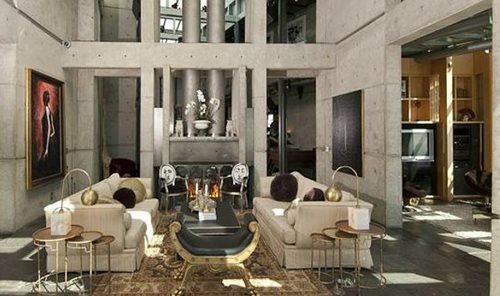 Known as ‘The Fortress’ this unique luxurious, high steel concrete pad features a breathtaking 60ft high entrance, chic interiors and a spectacular 270 degree ocean view. Spreading across a whopping 10,000 square feet this steel home features an impressive eight bedrooms and twelve bathrooms. Other notable features include a; Porche-designed gourmet kitchen, two-bedroom guesthouse, a serenity garden, glorious crystal chandeliers and a 12-person Jacuzzi. 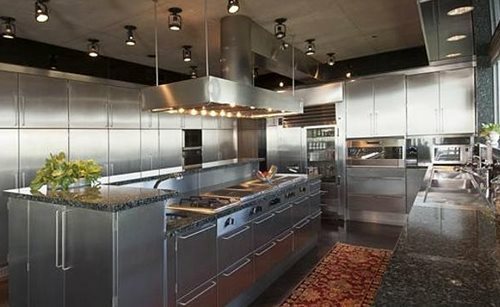 Surely this steel mansion provides plenty of room to entertain fellow neighbour, Lady Gaga. Rihanna’s on and off relationship with Canadian rapper Drake could also be on-the-rocks as she was seen dining with recently single Coldplay singer, Chris Martin.